Flight times and numbers are subject to change. Please check with aa.com for verification. Parking is always free at Jack Brooks Regional Airport. 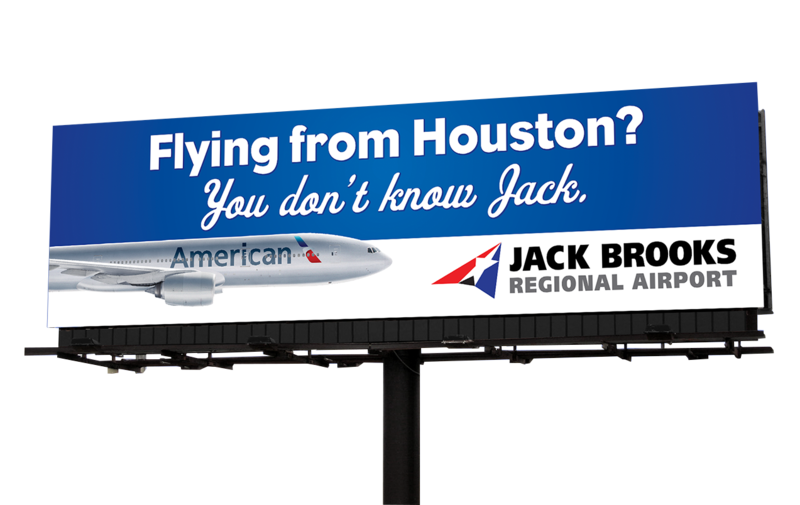 You’ll save up to $20 per day when you park and fly at Jack Brooks Regional Airport. Everyone who travels by air goes through airport security checkpoints. These checkpoints are operated by Transportation Security Officers from the Transportation Security Administration. As a member of the AAdvantage® program, you'll earn miles when you fly on American, oneworld® and other participating airlines, as well as over 1,000 partners. Then, you can use your miles for Flights to nearly 1,000 destinations worldwide, Upgrades, Vacations, car rentals and hotels, and Other retail products.